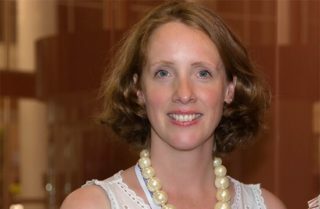 Dr Seonaid Anderson is a Chartered Psychologist with the British Psychological Society, and also a member of the Belgian Association for Psychological Sciences. She is passionate about pioneering research for the treatment of psychological disorders, and caring for patients with them. Sensitive to people’s diverse support needs, Seonaid creatively and rigorously translates evidence-based research into clinical practice. After obtaining a BSc and MPhil from the University of Glasgow, Seonaid would go on to complete her PhD at the University of the West of Scotland. Upon graduation, she would lecture Psychology at the University of the West of Scotland, before becoming a researcher at Glasgow University and Yorkhill Children’s Hospital. Her research project focused on Reactive Attachment Disorder and was conducted through community Child and Adolescent Mental Health Services (CAMHS) and specialist Attention deficit hyperactivity disorder (ADHD) clinics. Seonaid then moved to the world’s most famous children’s hospital, Great Ormond Street Hospital in London. There she was involved in a three-year longitudinal research project looking at transition to secondary school for children with Autism spectrum disorder (ASD). For the last five years Dr. Anderson has managed Tourettes Action’s multi-disciplinary Research Network (TARN), collaborating with researchers to facilitate their studies, with the overall aim to expand Tourette Syndrome (TS) research in the UK.